The US company S2Global, which specializes in the provision of technologies for the inspection of vehicles and luggage, wants to expand its operations in the Republic of Moldova. The intention was announced during a meeting with Prime Minister Pavel Filip. US contractors have also reported that they also have IT solutions that allow detection of prohibited goods such as arms and drugs at borders, as well as countering smuggling of cigarettes. In his turn, Prime Minister Pavel Filip mentioned that the Government is focusing on the implementation of new technologies, which will make the state institutions more efficient, reduce the corruption, but also increase the revenues to the budget. "Corruption can only be eradicated by technology and limiting people's direct intervention. Many people are tempted to organize their work in such a way that there are possibilities for extortion of bribes. The idea is simple: the more problems they create for people crossing the border, the greater the chances are to collect bribes, "Pavel Filip said, also in the context of last week's checks at Leuseni-Albita Customs. With about 60% of S2 Global's activity focused on software development, company representatives have shown interest in the benefits of Moldova IT Park. Pavel Filip mentioned that the IT Park, launched on January 1, 2018, already has more than 240 residents. "The main advantage is the 7% single tax. There is an abstraction of bureaucracy, corruption and other barriers, you have no interaction with the state institutions, there are transparent and clear rules, "added the prime minister. 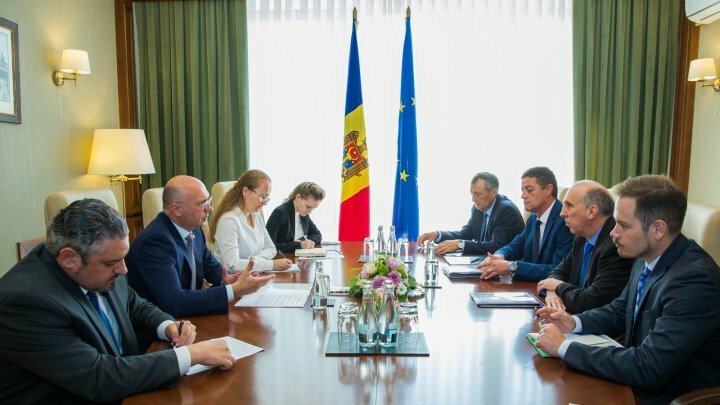 The Prime Minister asked the company, together with the national authorities with competences in the field, to develop a mechanism for the implementation in the Republic of Moldova of the solutions to increase the security at the border.